Jens Folke works today for Lean6Sigma.eu as a Lean Six Sigma management consultant, instructor and educator. 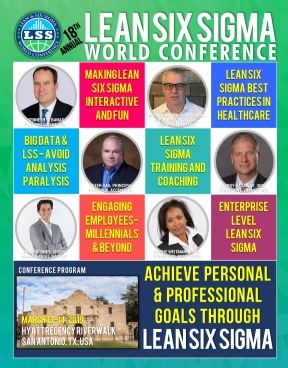 Working exclusively for Lean6Sigma.eu since 2008, he has created open courses and certification schemes for a Six Sigma Green Belt / Black Belt / Master Black Belt program. He has extensive experience in project (PRINCE2™ & MSP™) and change management with working experience from living in England (Cambridge), USA (Seattle) and Canada (Toronto) as well as project management and team leader experience from many different developing countries in Asia, Africa and Eastern Europe. He is author of a book on Lean Six Sigma in Business Processes (2007) written in Danish. He has also conducted numerous Lean Six Sigma classes, workshops and training seminars. Jens Folke holds a MSc in chemistry from Copenhagen University, 1980. At that time, he received a scholarship to study one year at University of Cambridge, UK. He then went into Environmental Chemistry and received a PhD from University og Gothenburg, Sweden, before going into a consultant career, first with COWI and the with the Scandinavian Environmental Research Group. He completed a Master in Environmental Management in 1998. The focus was on cleaner technologies and resource management. From 1991, he was external associate professor at University of Roskilde in Environmental Management for more than 12 years. After training with 6Sigma.us he became a Six Sigma Master Black Belt in 2006 and was a freelance Six Sigma trainer for two years before starting his own company, Lean6Sigma.eu. The Six Sigma program he has developed is based on ASQs Six Sigma Body of Knowledge, and is contained in a 2-year mater program similar to what is required at Danish Universities. It contains training 6 modules, each of 35 hours length; Green Belt certification requires module 1 & 2 completed and a presentation of a Lean Six Sigma project. Black Belt certification requires another 2 training modules and presentation of another project, while Master Black Belt requires all 6 training modules completed along with 10 completed projects and a short Master Black Belt theses. Which of the four choices for Black Belts one chooses depends on one’s interest, that being business processes, production or product development.